It's getting a bit crowded down at 9th and Mission. 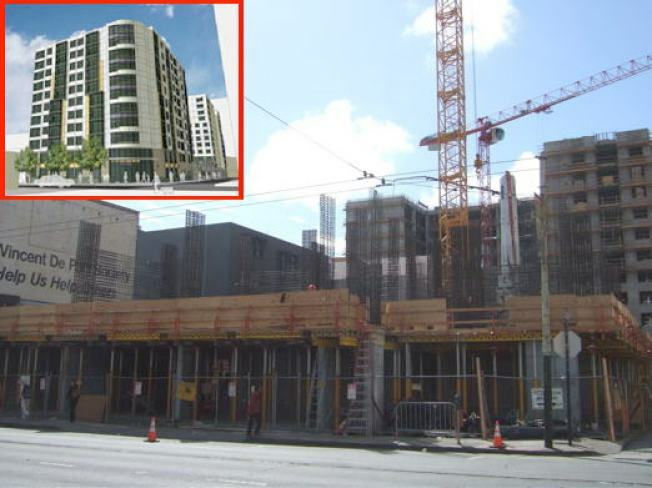 Back in April we checked out the progress of 1390 Mission Street, which, incidentally, has about doubled in height since then. Proprietors Mercy Housing California are also busying themselves with the rebar at 66 9th Street, just behind 1390 Mission, on Jessie Street. The 107-unit, 11-story building will be put to use as senior housing, with 20 percent set aside for homeless seniors. The architects, not so surprisingly, are the same: Kodama Diseno— occupancy's set for winter 2010. Now we just need something in the blighted vacant lot across the street.